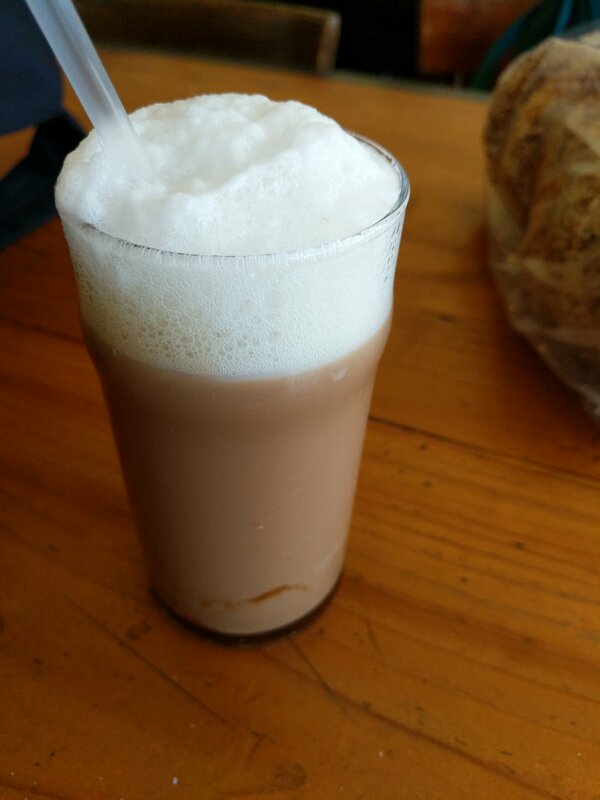 Having a chocolate egg cream, which has neither cream nor egg in it. and we got hella day-old bagels! i’m freezing a bunch. we watched live-action beauty and the beast! i was pleasantly surprised. i’m also amazed at how quickly that eerie seven-note “the curse that the sorcerer put on the prince” theme grabs me. it’s so easy to grab me. i recognize so many of the shots they faithfully reproduced, like the way beast’s eyes roll back in his head before he faints after fighting the wolves, and the way belle’s hair is tied with a loop-through ponytail, swinging as she huffs away from gaston. and the clawing at the roof, and everything lumière does.